USA vs. The World in Pro Gymnastics Challenge. Want to see it LIVE? This competition is a non-traditional gymnastics event where top gymnasts from around the world compete head-to-head for athletic supremacy. 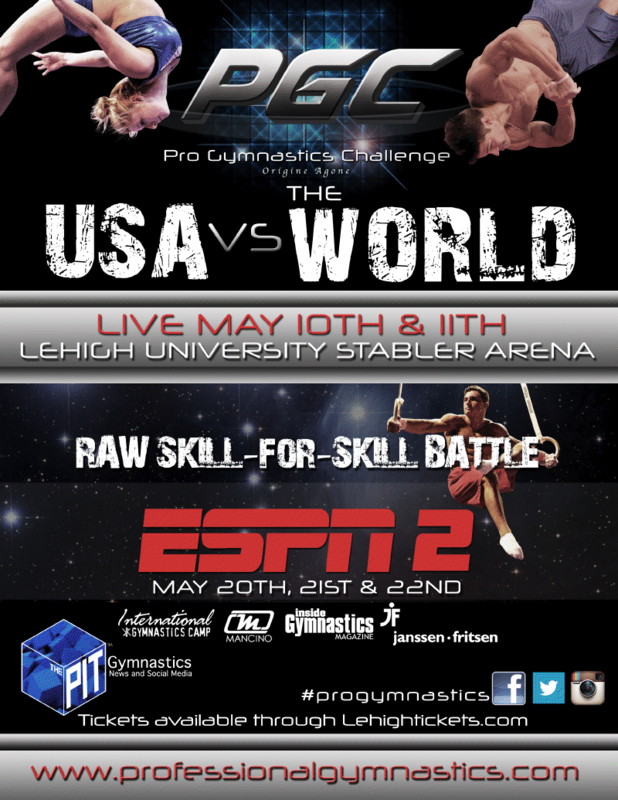 This event will feature no routines, just the athletes hardest skills on each event, including a Speed Rope Climb!